Players of all ages will love this classic carnival game. 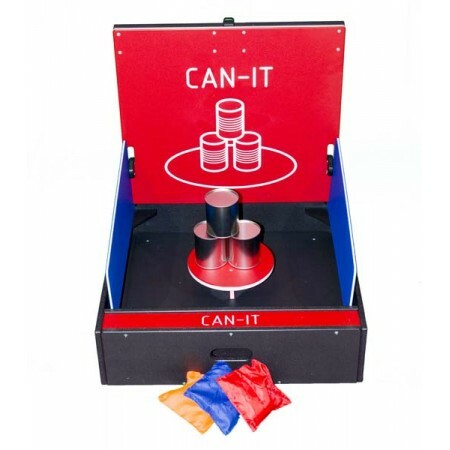 Test your aim and your strength by knocking over all of the cans! Do you have what it takes to win?